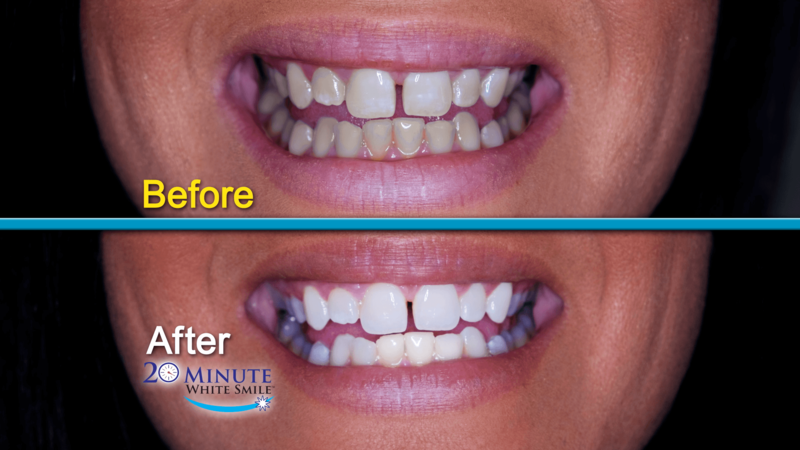 Fast & Easy Teeth Whitening Results - Anytime, Anywhere! • Quick, Simple & Painless! 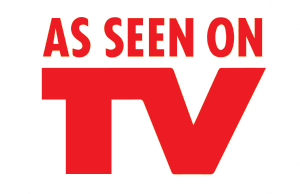 • Removes Tough Stains Deep Below the Surface! FREE Bonus Whitening Pen & Vitamin E Swabs. 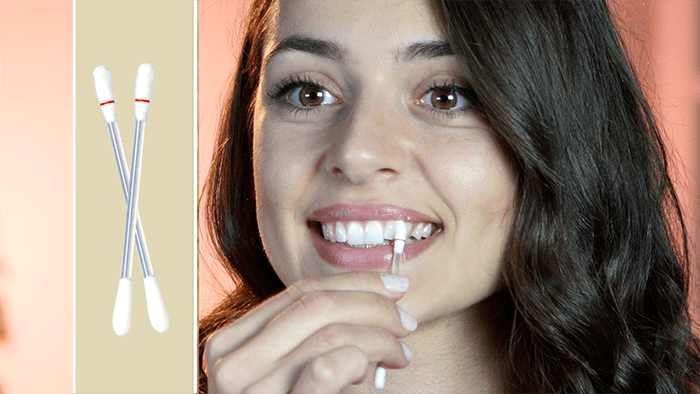 whitens Teeth from the Inside Out! 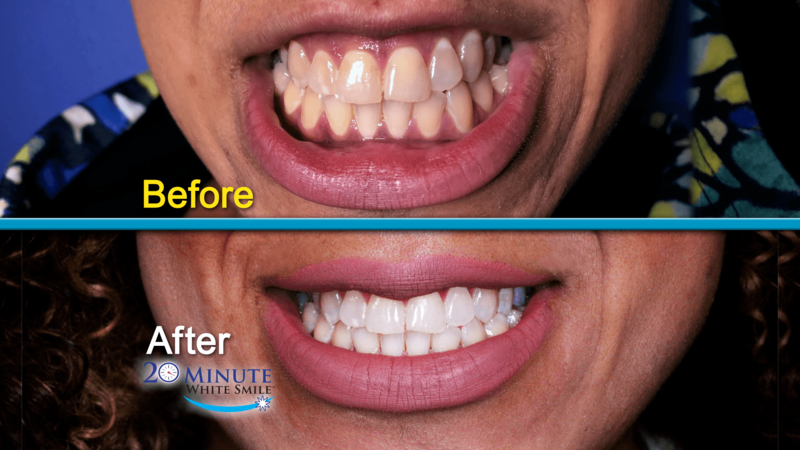 "People are under the misconception that teeth can be whitened externally. That is false. Teeth need to be whitened from the inside out." Revolutionary Teeth Whitening for Everyone! Other at home teeth whitening products just scratch the surface of the problem to whiten teeth. 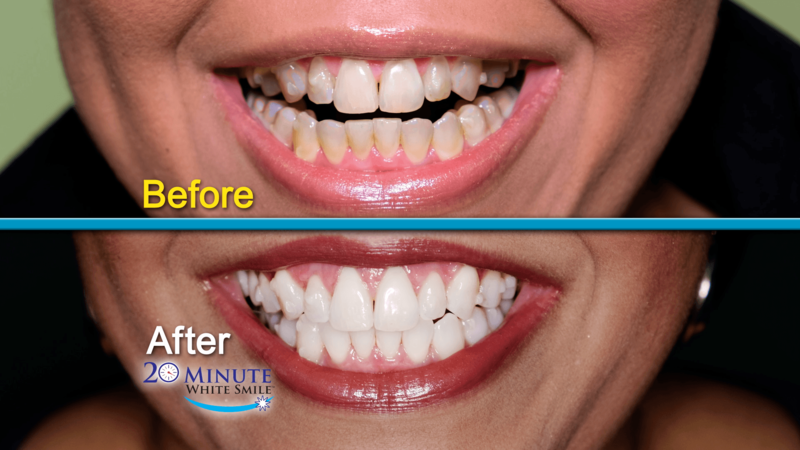 Only 20 Minute White Smile penetrates deep below the teeth’s surface to whiten the discolored and yellow dentin found beneath the enamel to deliver true teeth whitening from The Inside Out – Just Like You Get At The Dentist! 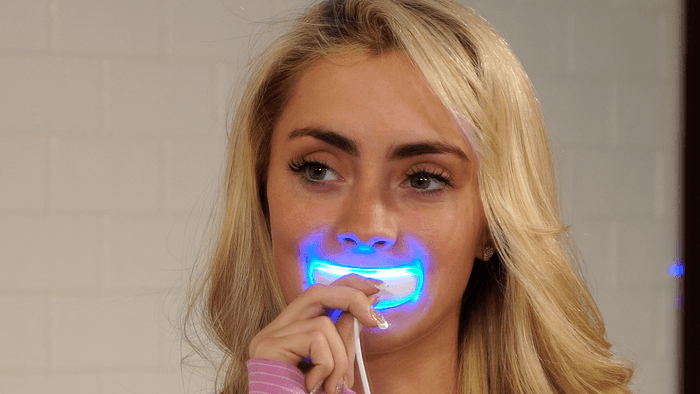 The dual row of cool ultra-bright blue LEDs activate our specially formulated gel for accelerated teeth whitening! 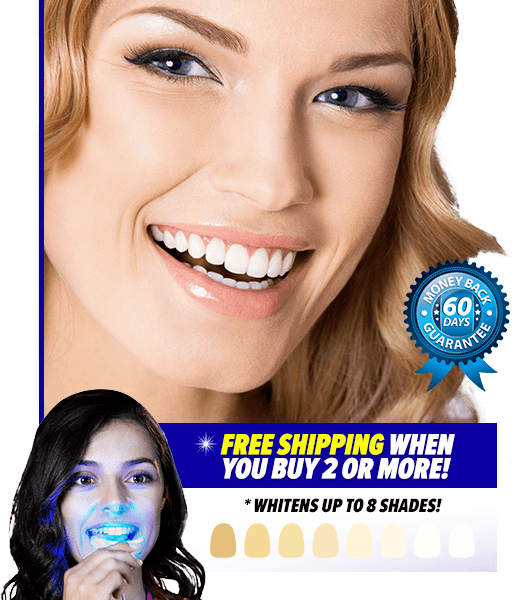 Features over 88 Lumens for 10X the whitening power. Our dentist approved sure-fit Mouth tray offers superior stability and coverage to whiten your entire smile – Top & Bottom- Front & Back Teeth. 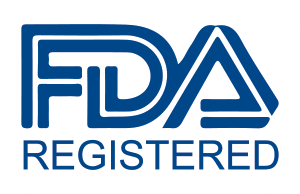 CLINICALLY PROVEN TO BE SAFE, GENTLE & EFFECTIVE! 83% of people in a clinical study saw dramatically whiter teeth in just two treatments! 20 Minute white smile is specially formulated and proven to be pain free and cause no sensitivity – even for those with sensitive teeth! Real people real success stories! Professional results are as easy as 1,2,3! 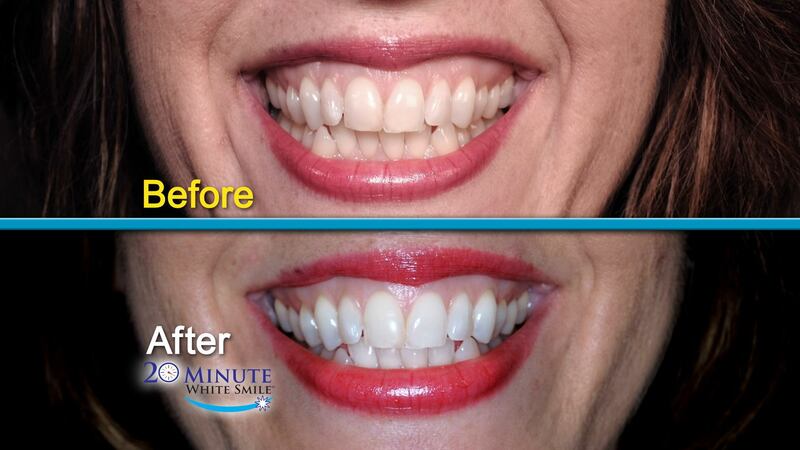 Get started on a Whiter & Brighter Smile with 20 Minute White Smile! 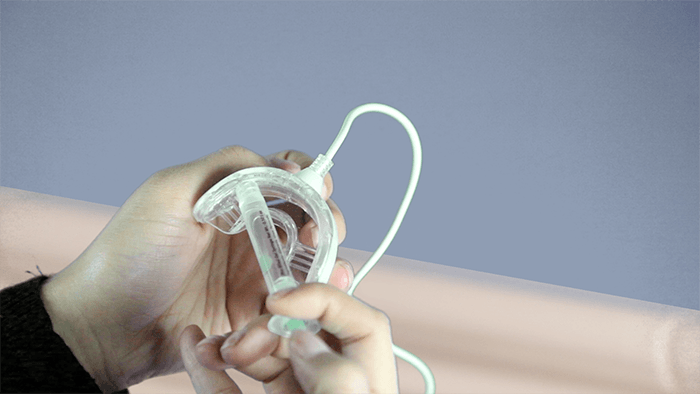 Offer Details:Order today and you’ll get the complete 20 Minute White Smile system including the USB LED Accelerator Whitening Tray, 2 pre-filled Whitening Gel Applicators, 3 connectors (lightning/iOS, micro-USB/Android, & USB Type C), plus the travel bag for just $39.99 plus $9.99 processing and handling. As an added BONUS we’ll also include the Whitening Pen & 2 Vitamin E Swabs ABSOLUTELY FREE! 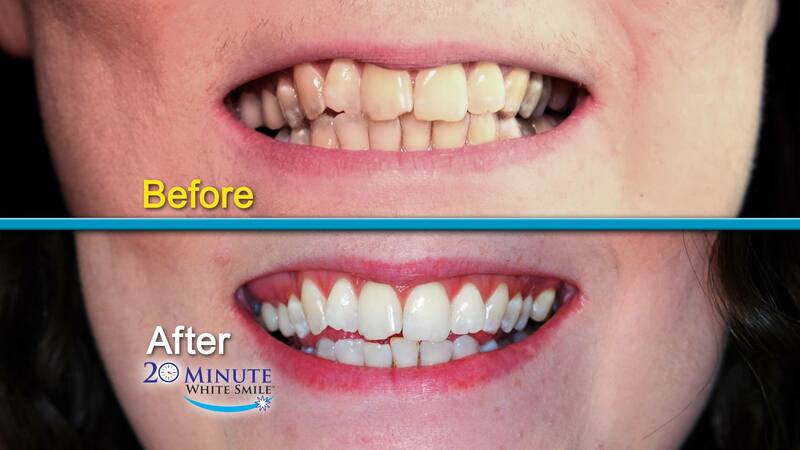 Plus order two or more 20 minute White Smile Kits today and get FREE processing and handling on your entire order.